Planning your wedding can be one of the most exciting times of your life, but can turn stressful in an instant! Aesthetics of Essex appeared at The Heart Essex Wedding Show last week to promote our services as well as offer free consultations and advice to couples that gathered at this exciting event. The Wedding Show brings businesses together under one roof to host and offer professional services to help the wedding couple prepare for their wedding, ranging from stunning gowns, photographers, cake designers, honeymoon destination organisers and much more! It’s the ideal event to get inspiration and sample services or treatments with specialists to be sure you’re choosing the right people for your special day. Additionally, it’s the place to be to obtain information that is crucial in making your distinctive wedding ideas come to life and perfect for everyone attending, not only the bride! 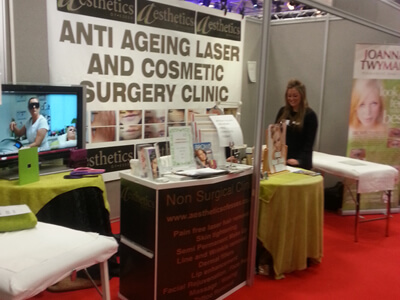 The event was held at the Brentwood centre on Saturday 15th and Sunday 16th of February between 10am and 4pm. 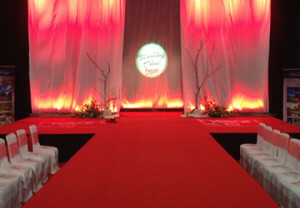 The show took place four times each day, offering much inspiration for everyone planning a wedding. We aspire to provide excellent services to all of our customers. If you are aware of any upcoming weddings, contact us for exclusive wedding packages!